A controversial senior adviser to the Department of Homeland Security (DHS) is receiving criticism for tweeting that the recent takeover of Iraqi cities by a violent terror group is proof that a Muslim ‘caliphate’ is making an ‘inevitable’ return. Mohamed Elibiary, a controversial figure and member of DHS’s Homeland Security Advisory Council (HSAC), discussed what he described as the ‘inevitable’ return of a Muslim caliphate Friday on Twitter. ‘As I’ve said b4 inevitable that ‘Caliphate’ returns,’ Elibiary tweeted in response to a question about the terror group Islamic State of Iraq and the Levant (also known as ISIS, or the Islamic State of Iraq and al-Sham), which is currently seeking to overthrow the Iraqi government and instate strict Sharia law in the country. “Choice only whether we support [European Union] like Muslim Union vision or not,” wrote Elibiary, who has “advised numerous federal, state and local law enforcement organizations on homeland security-related matter,” according to his biography on DHS’s website. The GMBDW first reported on Mr. Elibiary in October 2010 revealing that he was the founder , CEO, and President of the Freedom and Justice Foundation (FJF), A Texas organization whose Advisory Council was composed of members of known to be associated with the Islamic Association of North Texas which operates the Dallas Central Mosque (DCM). Both organizations are known to be associated with the US Muslim Brotherhood and the Hamas infrastructure in the US including the now defunct Holy Land Foundations (HLF). 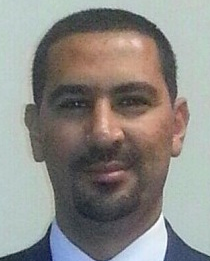 In June 2012, we reposted the review of Mr. Elibiary’s background after the Huffington Post published and article which cited Mr. Elibiary as claiming that his name “has been dragged through the mud” by U.S. Congressional representatives identified him as a potential example of Muslim Brotherhood influence inside the U.S. government. At that time, we had to reconstruct many of the links which had been scrubbed from the FJF website. For the full report on Mohamed Elibiary,, go here.